DVD Copy + DVD Clone remove the protections (CSS, RC, RCE AND UOPs) automatically while copying. You can freely copy/clone/backup protected (CSS-encrypted) DVD movies and all regions DVD movie.Provides you the most efficient way to clone your DVD movie(datas) into DVD-R/RW or DVD+R/RW and to copy your DVD movie(datas) into hard drivers for backup. 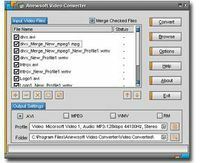 You'll get perfect copies with no loss of playback quality allow you to play on home and computer DVD players. DVD Copy + DVD Clone is ideal for consumers who want a fast, easy way to protect and share their personal DVDs. Key Features: 1.High Quality: - Real DVD movie copy by 1:1 perfect video and audio quality - same as the original. 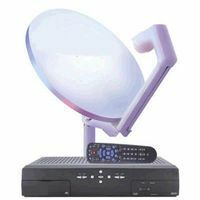 2.High compatibility: - Supports NTSC and PAL DVD Movies; - Supports DVD-R/RW, DVD+R/RW; - Supports all SCSI, IDE, USB DVD burners/recorder on the marketing; - Supports both home and PC DVD Player; - Supports most recordable media formats including DVD+R/RW; 3.Supports DVD5 and DVD9 formats to clone and copy: - DVD5 -> DVD5; - DVD9 -> DVD9, 1:1 perfectly copy with all content; - DVD9 -> DVD5, Shrink a dual-layer (D9) movie into one D5 with all the Special Features, Menus, Subtitles and Languages. Shrink main movie into one regular D5 DVD+R/RW DVD-R/RW, remove unwanted Subtitles/Audios to increase quality; - DVD9 -> DVD5, Shrink DVD9 to one DVD5; - DVD -> Hard Drive, Copy a DVD to your hard drive in DVD file structure so that you can watch a DVD movie or burn a DVD disc from the hard drive. 4.Remove the protections (CSS, RC, RCE AND UOPs) automatically while copying; 5.Compress and Copy a dual-layer (D9) movie into one D5 with all the Special Features, Menus, Subtitles and Languages; 6.Neat User Interface, very easy to use, without any complicated parameter settings; 7.No ASPI drivers needed.